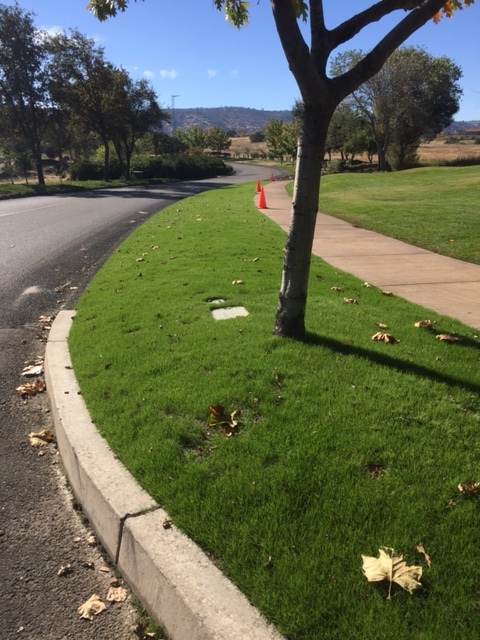 Earlier this month, we talked about our exciting plan to reestablish turf and other grasses as well as install some new drought-friendly landscape features to help re-beautify the community entrance and road medians in heavily traveled areas of Saddle Creek. We had hoped to start in November or early December, but we have more good news! Because of the favorable fall weather, we have been able to start earlier than expected. The team started by spending a couple of days cleaning up after the big storm from a couple of weeks ago. Once they had that cleared up, they were able to start preparing the sales office lawn for seed. Installing irrigation proved to be a big job and we are proud of the team for the great work they’ve done. 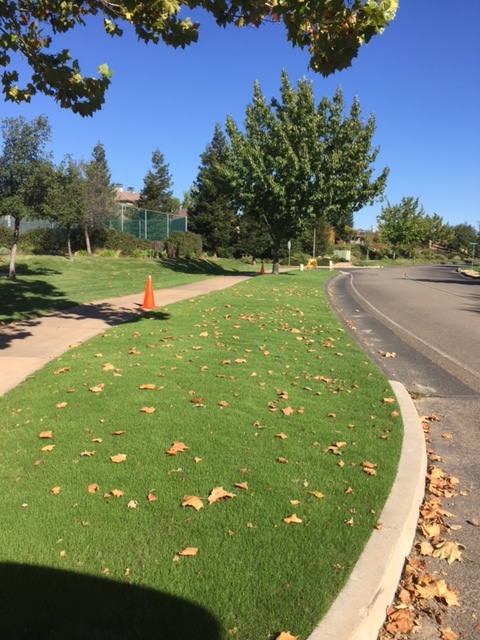 On October 20th, seeding was finished at the sales lawn and we are already seeing results! Take a moment to look over the pictures below. 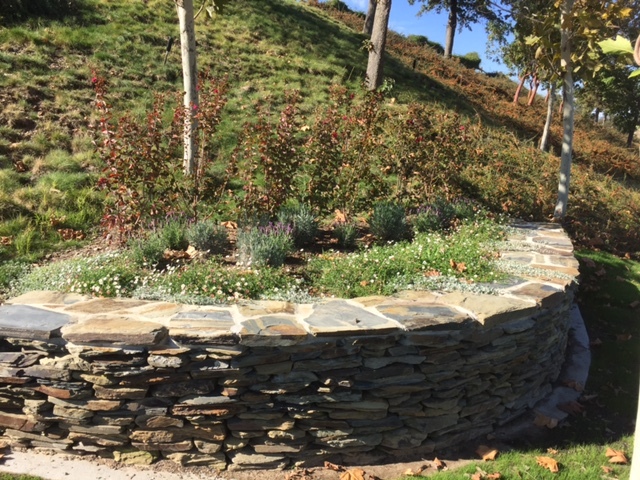 Featured are lawns that were completed a few weeks back as well as some of the rock walls that were done last year. As you can see, everything is thriving and we are proud to say that the updated appearance is receiving praise across the community. In the coming months, we will keep working hard at bringing the grounds back to life and making sure the landscape continues to evolve beautifully!